According to the concept of circular economy and following a model of sustainable development, the oil used by Venetians for cooking and frying will become a biofuel for the public transport vessels operating in the capital of the Veneto region traditionally called vaporettos (it can be translated as ‘little steamer,’ and refers to the original fueling system of these ships). The water-buses of the Avm/Actv fleet, usually powered by conventional diesel, will then be fueled with the new Eni Diesel+ for an experimental period of seven months, from April through October 2018. The 15 percent renewable biodiesel will be produced by the Eni’s biorefinery in Porto Marghera, a district of the municipality of Venice, through the conversion of vegetable oils, including virgin olive oils used for cooking. Eni recently transformed this facility, which now converts materials of biological origin, including used vegetable oils and animal fats, into high-quality biofuels. An agreement on the project was signed at the town hall, Ca’ Farsetti, between the City of Venice, the Avm public transport company, the Veritas group and Eni, in the presence of the councilor for economic development Simone Venturini, the president of the council committee on city planning and environment, Lorenza Lavini, the general manager of the Avm Group, Giovanni Seno, the director of energy and supplying division of the Veritas group, Massimo Zanutto and the chief refining and marketing officer at Eni, Giuseppe Ricci. The covenant states that Eni will provide approximately 5.1 million kilograms of biodiesel for powering the engines of the Avm waterbuses active in the lagoon, at the same price as the fuel supplied so far. The company Veritas, which collects, enhances and processes waste and wastewater in the Venetian territory, will deliver the oil from domestic sources, after purification treatment, to the Eni biorefinery. With the aim to validate the positive impact of the use of Eni Diesel+, tests were carried out in collaboration with the Institute for Research on Engines of the National Research Council CNR in Naples. Laboratory tests already showed a reduction in polluting emissions, in particular, nitrogen oxides, as well as ultrafine particles, in addition to lower consumption. 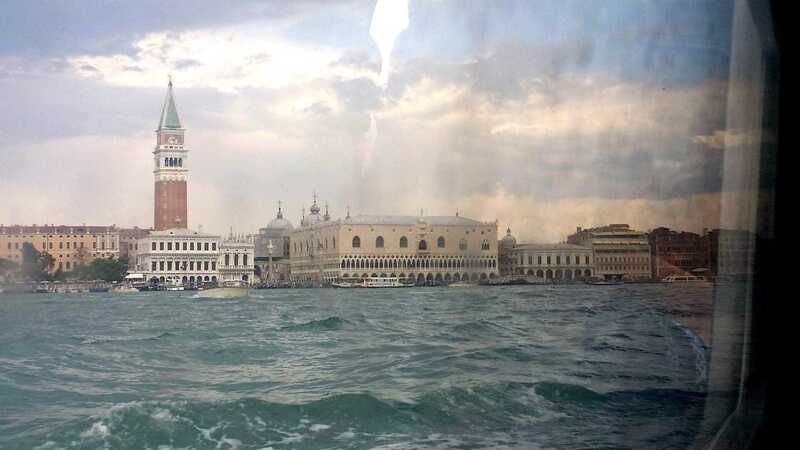 Further tests on emissions and consumption of the marine engines will be carried out during the experimentation phase in Venice. “It is a proud moment for our city,” said Simone Venturini. “Thanks to this agreement, we show our commitment to the environment, employment and local economy. This experience will result in benefits for the city and will act as a flywheel for other Italian and international companies as an example of circular economy,” the councilor affirmed. Moreover, under a previous agreement, the national consortium for the collection and treatment of waste vegetable and animal oils and fats, Conoe, is committed to inviting all the regeneration companies belonging to the consortium to supply Eni with the used oil collected, which will be processed into the biorefinery. Eni shall ensure the purchase of the used oil produced and available on the national market, which amounted to about 65,000 tons in 2016. The Conoe estimates that this will result in a potential savings of 3,130 kg of CO2 equivalent per ton of biodiesel produced and consumed as fuel, while the water saved is equal to 1.9 per ton of biodiesel produced with waste oil. The agreement will also provide for joint actions to encourage the collection of incremental volumes of waste oils produced by domestic users, which is now almost entirely dispersed, through agreements with local public administrations and public waste collection companies.